Cryptocurrency and blockchain are revolutionary technologies, but being so far ahead of the curve comes with consequences. With few precedents to learn from and regulatory frameworks still in their infancy, the crypto space has attracted its share of shrewd opportunists whose scams — such as the infamous pump-and-dump schemes — have grabbed international headlines. Tech giants like Facebook and Google recently placed a ban on crypto ads to combat the spread of shady coin offerings, and U.S. regulators like the Commodity Futures Trading Commission and the Securities and Exchange Commission are investigating cryptocurrencies for price manipulation and other forms of fraud. Pump-and-dump schemes aren’t new — nor are they limited to the cryptocurrency space (just ask Jordan Belfort). That said, the growing popularity of blockchain technology, combined with a lack of general public understanding, make the space a breeding ground for these types of ploys. Meanwhile, social media channels like Twitter, Telegram, and Reddit add a new level of speed and scale to the process. So how do they work? Those who are in on the pump-and-dump scheme form groups, often with thousands of others, and overhype the trading volume of a coin. Then, once people are willing to buy in at grossly inflated prices, the perpetrators dump their holdings for a massive profit. It’s becoming so commonplace that the SEC created the aptly-named HoweyCoins website to help investors spot signs of a crypto scheme. Not long ago, we also saw the crypto community take a hard line against Bancor’s Twitter giveaway, accusing it of normalizing the language and promotional techniques commonly abused by scammers. The pressure is on for cryptocurrencies to prove their legitimacy, and I don’t blame people for being wary of them. But I also know that for every scam, there are countless examples of cryptocurrency and blockchain technology being used responsibly to create opportunities, grow economies, and do good in the world. We need to remember that cryptocurrency fraud is the exception, not the rule. For better or worse, cryptocurrency has become known as a get-rich-quick industry — one where people enter the market without much awareness of the technology or its unique implications. We saw the price of Bitcoin skyrocket to unprecedented levels in late 2017 — which new research asserts was driven by furtive actions of a few big players, rather than real investor demand. Regardless, the spike resulted in a rush of new currencies, wallets, and exchanges, many of which were poorly planned at best and outright fraudulent at worst. And of course, legitimate services attract fake copycats. For instance, an app posing as MyEtherWallet, one of the most popular services for storing Ethereum and other coins, rose to the top of Apple’s App Store charts in December 2017 before it was revealed to be a scam. 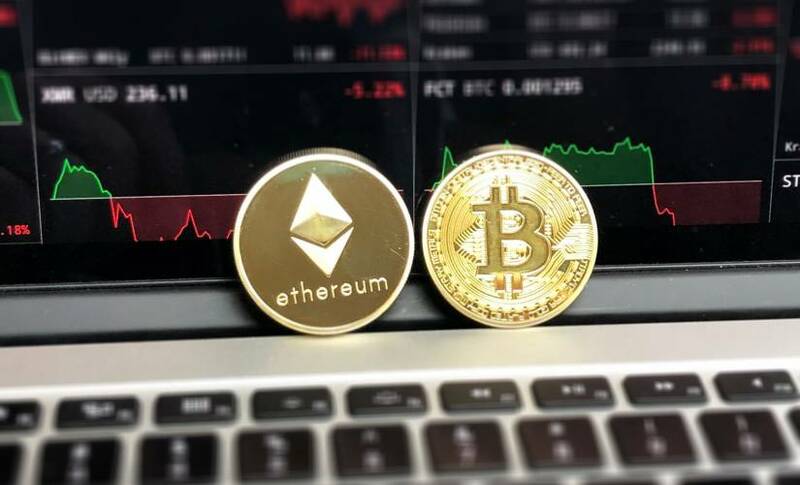 Although these sorts of scams have nothing to do specifically with cryptocurrency or blockchain and are basically akin to phishing, they still create a widespread negative perception of cryptocurrency as a whole. But just because scams may have dominated the news cycle for a while doesn’t mean investing in cryptocurrency is a fool’s errand. The same principles of sound investing — tracking trends, diversifying, and weathering volatility — apply to crypto. And there’s no replacement for due diligence before putting your money into a project, regardless of whether it’s on the blockchain. That said, with so many investors losing money to market manipulation fraud, it was only a matter of time before regulators stepped in. Although government policy has struggled to keep pace with cryptocurrency, we’ve gotten to a point where regulators are stepping in and taking highly punitive action against pump-and-dump schemes in cryptocurrency. In the United States, most state and federal regulators deal with crypto projects on a case-by-case basis. Take the CFTC’s charges of fraud and misappropriation of funds against Patrick McDonnell. McDonnell allegedly promoted himself as an expert in cryptocurrency investment and promised clients returns of up to 300 percent; yet after receiving payment, he’d sever all communication without providing anything in return. The McDonnell ruling treated cryptocurrency as a commodity, which allows the CFTC to assert jurisdiction over players engaged in related schemes. Meanwhile, the case between Maksim Zaslavskiy and the SEC dealt with an alleged ICO scam. About 1,000 people invested in Zaslavskiy’s project, but it became apparent that neither a token nor a digital asset was issued to investors, and no real blockchain technology was playing a role in his ICO. The Zaslavskiy ruling treated cryptocurrency as a security, which could encourage regulators to focus on registration issues — a potential snare for players launching ICOs without abiding by the SEC’s registration requirements. Cases like these show that regulators are testing several judicial theories and practices, and their rulings will set the precedent for future enforcement in an area where laws lag behind tech advancements. Because cryptocurrency spans across so many legislative districts, it’s hard to get everyone to agree on the same path going forward. That said, I’d like to try to provide a basic framework for what a legitimate blockchain project should look like. The first thing any organization should do when considering an ICO launch is ensure it meets the SEC’s security offering requirements. It’s worth bearing in mind that the SEC has never approved any crypto-related assets for listing and trading, so be careful if you come across an ICO claiming to be SEC-approved. But we can begin building a better, more reliable investment framework by complying with regulations in advance. As we’ve seen, legislation and regulation tend to follow technological innovation — so innovators can save time and reduce friction by leading the way responsibly. One of the most important stipulations for publicly traded companies approved by the SEC is transparency — and transparency is one of the main reasons why blockchain-based transactions were invented in the first place. Along with being publicly visible and accountable, organizations should work with regulatory bodies in any jurisdiction they plan to operate in. Criminals tend to avoid the law, and if an ICO has nothing to hide, it should have no problem cooperating with regulators. This is fundamental to building trust among cryptocurrency investors, professionals, and the broader global community. In the past, proponents of cryptocurrency have championed its potential for deregulation, decentralization, and anonymity — but we’ve seen firsthand that where controls are too sparse, fraud runs rampant. And while not everyone agrees on the extent to which the cryptocurrency space should be regulated, I think we can all agree that without trust — in each other, in the rules, and in regulators to enforce those rules effectively — we can’t have a functioning system of investment and exchange. As cryptocurrency continues to evolve, it’s important to continue supporting groups working for the good of others while calling out those who are trying to game the system. If we, as a community, cooperate with regulators and invest in companies that are adding value to the world, we can change how the world sees cryptocurrency.